TrailHeads Space Dye Touchscreen Knit Gloves bring together convenience and style. The touchscreen fabric on the first 2 fingers and thumb make it easy for you to use your mobile devices while keeping your hands warm. Text, surf the internet, or change your playlist without removing your gloves. Contemporary space dye yarn enhances the stylish look of these fashionable gloves. 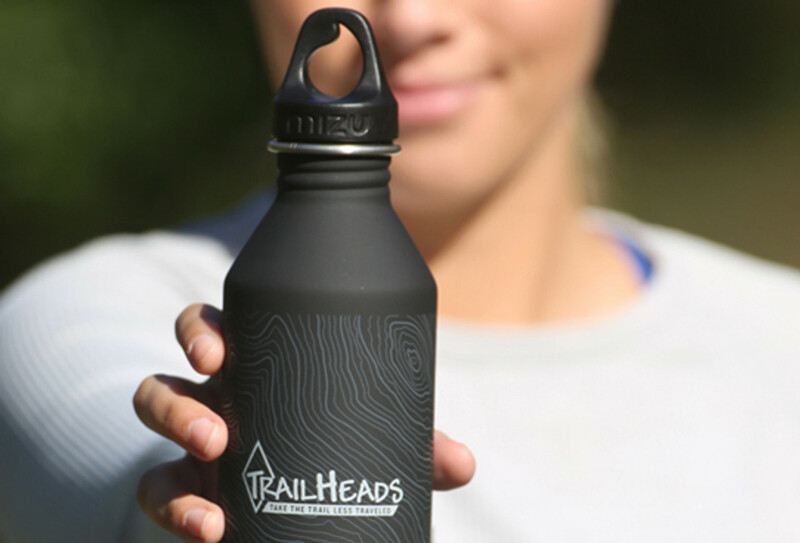 The TrailHeads logo-stamped metal band lends a sophisticated look. Super soft acrylic knit feels so cozy against your skin that you’ll want to wear these gloves everywhere. Offered in 2 attractive colors, the TrailHeads Space Dye Touchscreen Knit Gloves will make a cheerful addition to your winter wardrobe. Luxuriously soft acrylic knit construction makes these gloves the most comfortable choice when you need to use electronic devices in chilly weather. Knit-in touch screen capability enables you to text without exposing your hands to the elements. Rib knit spandex blend cuff ensures a snug fit. One size fits most - cozy space dye yarn stretches to fit a wide range of hand sizes; Machine wash; air dry. Also available: matching beanie and headband.